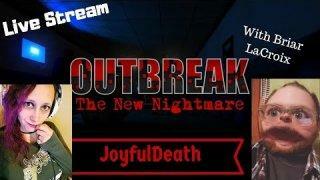 Trying a new game by Indie Dev: Drop Dead Studios called Outbreak: The New Nightmare. It's supposed to be up to 4 player Co-op, we haven't tried it before, so hopefully everything runs smoothly, but you guys know me, I will probably figure out how to break it! !